Individual health insurance programs are designed for individuals and families who cannot obtain health insurance through an employer. Due to the continually rising cost of medical care, it has become more important to provide health insuran ce for you and your families. 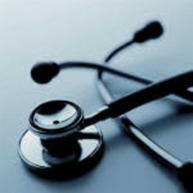 Segner Insurance offers health insurance programs to individuals. These policies provide extensive coverage as well as high-deductible programs which are designed to protect against catastrophic financial losses.